published last month by Gestalten, follows the same tradition. 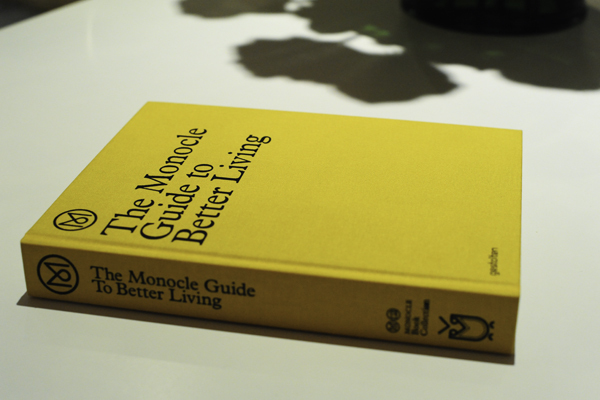 Tyler Brûlé, Monocle’s editor–in–chief and poster child of the new journalist/ entrepreneur, explains in the foreword that the book is meant to be used as a reference tool for a broad audience, a book that you can read in one go, but also return to later for a specific information. And who are we to disagree with style icon/global citizen Mr. Brûlé? 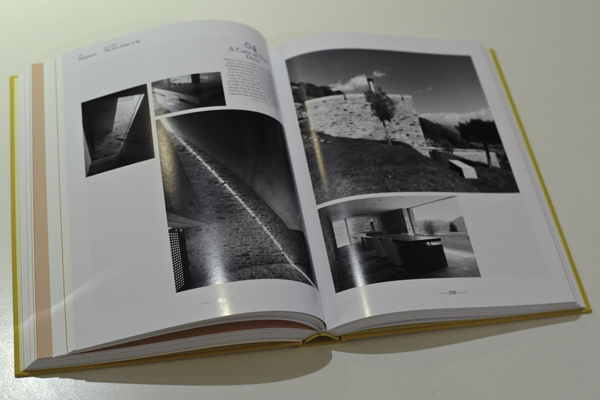 The book is a beauty. Eye-catching in its black and yellow binding, and full of quirky little facts that are probably not essential in order to “live better” but that are sure as hell interesting and nice to know. The writing is engaging and has the rare quality of making you believe that you are a global citizen yourself. All it takes is turn a page, read a bit of text, glance at a beautifully shot picture – and in one chapter you visit the most exciting places in Beirut, Hamburg, Helsinki, São Paulo or Tokyo. No boring airports, no sweaty undergrounds, no noisy cabs etc. – the book teleports you straight into the best coffee shop, the most successful local business, the most tastefully designed hotel lounge. The publication screams authenticity and search for enduring values all over. In a good way. The Monocle editorial team knows its topic well and the curatorial approach delivers high quality across all 10 chapters. It’s a welcoming change from the glamorous champagne party scene of Purple Mag or the slightly preachy tone one comes across in the School of Life publications. The writers also keep it all very accessible without becoming superficial. 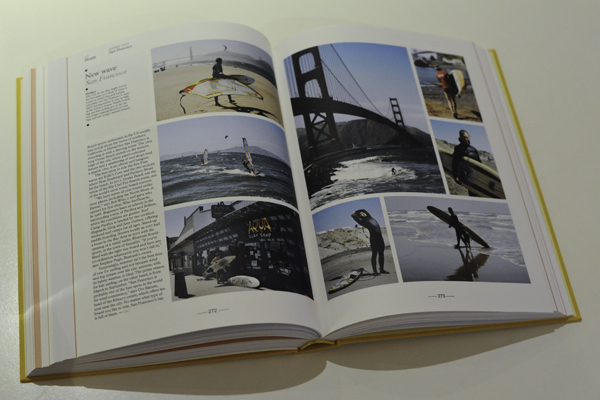 The content is served bite-sized and accompanied with stunning imagery and the topics are fresh and surprising. You don’t need to be a petrol-head to enjoy reading that we have to thank the late Iranian Shah Mohammad Reza Pahlavi for the existence of the Mercedez G-Wagen. Another good example is the chapter about cinemas – in the times of Netflix and Torrents, it is refreshing to see that there are still cinemas all over the world that create premium experiences for cinefiles who want a big screen alternative for the mainstream, soulless cinema complexes. The chapters about Culture, Business, Home and the Service Industries, which keep cities functioning, are all discussed with a similar attention for detail and search for authenticity. If there was one thing we would reproach, it’s that the book stays in this “global citizen mood”. Unfortunately not all people live in this perfectly groomed world. The Atlantic’s recently published research states that women in the US today are dying younger than their mothers. The latest Global Wealth Report by Credit Suisse proves that inequality remains high – the top 10% of the world population owns 86% of global wealth, compared to barely 1% for the bottom half of all adults. 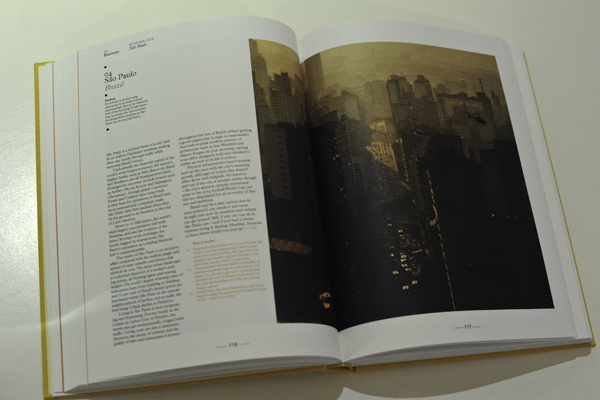 A lot of the cities described in the book are having serious problems with traffic, pollution, unemployment, etc. We understand that this book doesn’t claim to be dealing with these broader socio–economic challenges, but if we want to “live better”, we cannot neglect the bigger picture. Overall, we spent a fantastic afternoon with this publication, traveling the world from our living room and picking up interesting facts. And we are sure it will be one of those books that we go back to every now and then. 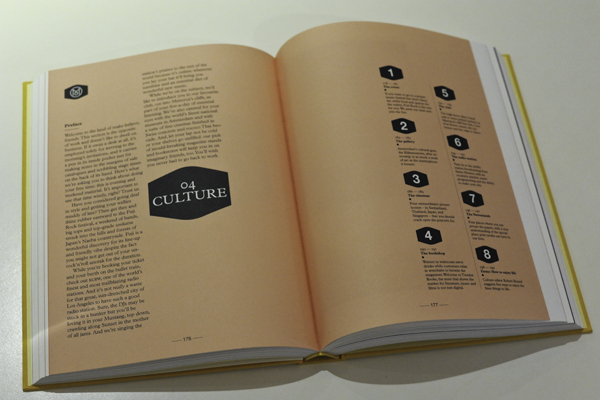 The last chapter is a visual journey through the different Monocle offices and cafés around the world. This is a great conclusion for a story that celebrates authenticity and the search for enduring values, because it proves Monocle isn’t just talking the talk.